If you enjoy books and traveling then this quaint hostel in Tokyo should definitely be on your list of places to travel to. The Book and Bed hotel in Tokyo, Japan, may not be the fanciest hotel with tons of amenities, plush pillows or satin silk covers. 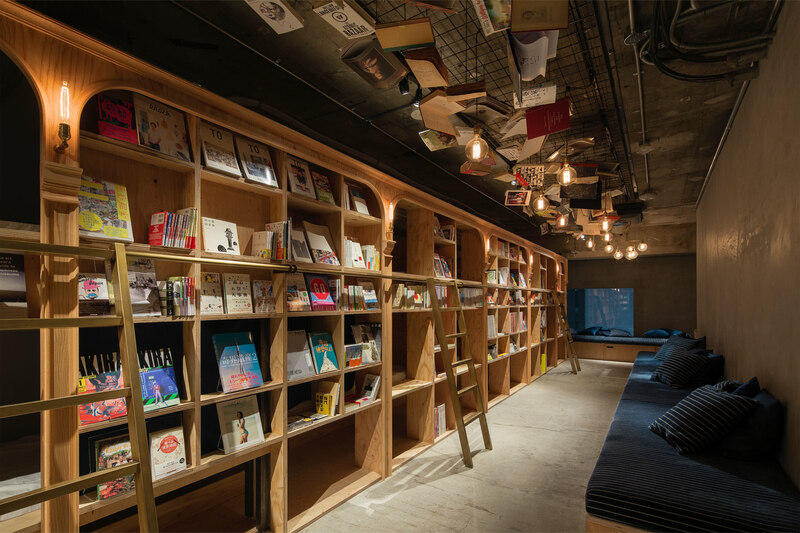 However, this unique little spot has something that no other hostel has in the city, and that’s 1,700 books in both Japanese and English for customers to snuggle with and read curl up with while you’re on your vacation. Upon entering the hostel, guests will probably immediately notice the the cozy yet minimal style that makes you feel like staying in and reading a good book rather than taking a night out on the town. Book and Bed calls itself an “accommodation book shop,” where guests can read themselves to sleep. Though this hostel has quite a large number of books, they don’t sell any nor allow guests to take any books upon their checkout. This makes sense as rooms cost between 3,500 JPY (about US$29) for a “compact” room, and 4,500 JPY (about US$37) for a “standard” room. It’s not all books and quietness here at the Book and Bed. The location of this hostel is near the Ikebukuro district, with plenty of access to restaurants, shopping and even the Tokyo Metropolitan Theatre. If you’re not looking for anything too fancy and rather spend a part of your trip reading books, than, by all means you should check this out!